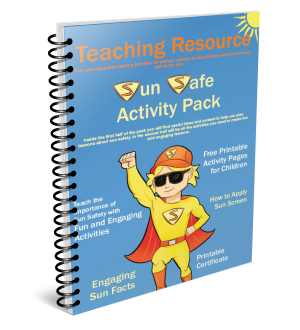 Free Sun Safe Activity Pack | Help Pupils Stay Safe in the Sun with our Free Activity Pack | Able Canopies Ltd. Fill in the form below to download your FREE copy of our Sun Safe Activity Pack which is packed full of fun and interesting activities that children can enjoy whilst learning how they can stay safe in the sun. This pack has been created to help you to encourage children to remember how to keep safe in the sun and reduce the risk of sunburn, heatstroke and skin damage later in life including skin cancer. Here's a handful of our customers that have made it possible for their pupils to stay safe in the sun whilst learning and playing outside. 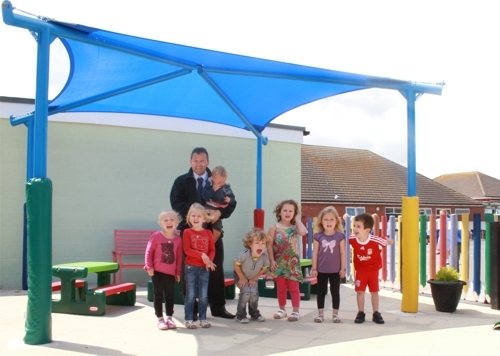 "The new canopy has transformed our outdoor area, enabling us to use the space as an outdoor classroom where children can play in showery weather or be shaded from the heat of the sun. Equipment is now able to be set up permanently outdoors as it is able to be kept dry. We had very good aftercare from the company and would recommend you to school colleagues." 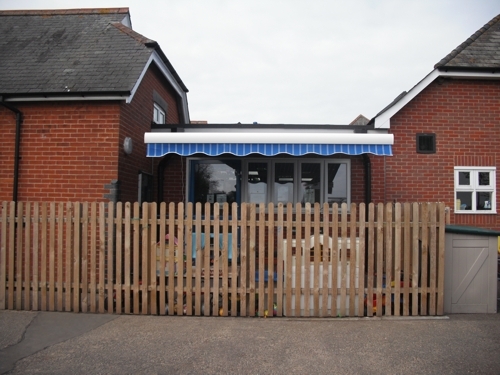 "Having our awning in place has made a huge difference to our pre-school. The children are able to have much more access to the outdoors which they love. We have been able to do more outdoor activities such as planting seeds and growing vegetables, and offer new fun and stimulating learning opportunities whilst enjoying the benefits of being outside. It is even better than we anticipated and we have received lots of positive feedback from the community. The children love it and we have been able to build it into a learning opportunity for them as they recognise the importance of keeping safe in the sun." 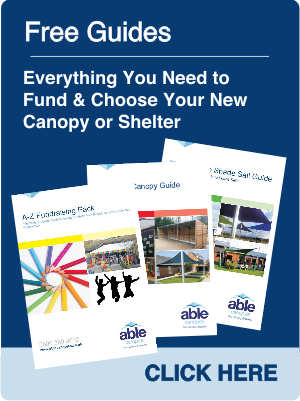 "The canopy has made a big difference to how we use our outside area and also added an attractive space for our children to play safely out of the sun and they can be outside in all weather conditions. We had no shade or protection from the weather and the canopy has given us this. 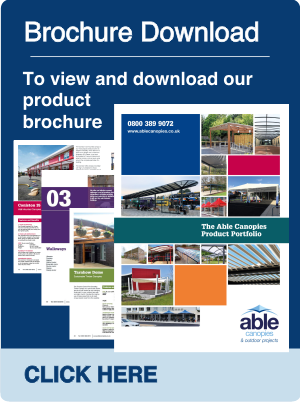 We are really pleased with the way the canopy was installed and the service we received from Able Canopies." 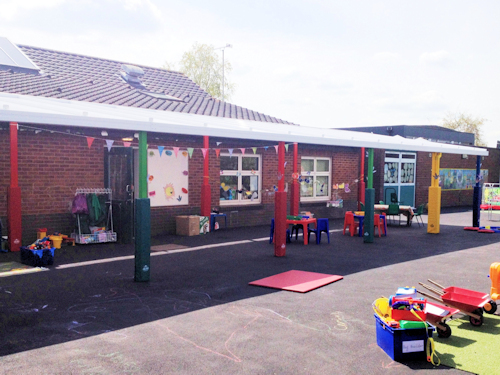 The Coniston Wall Mounted Canopy is perfect for schools and nurseries and provides cover from the weather all year round, protecting you and your pupils from the rain, snow, hail and sun. This enables you to allow you pupils to enjoy learning outside in the invigorating fresh air whatever the weather! 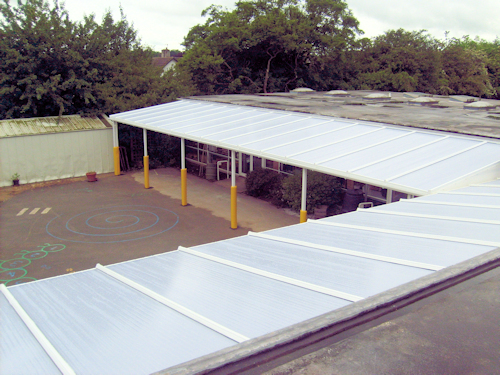 The roof panels protect from over 98% of harmful UV rays, keeping the area underneath cooler and safer. You can even gain added protection from the wind with our polycarbonate side fills which also blocks in excess of 98% of the sun's UV rays. 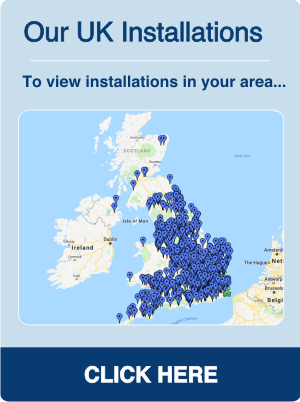 Contact Us to find out if you qualify for a free site survey. Click on the links below to check out our other free guides & packs which are available to download today.